Anchor baby Mia Love, identifies herself, not simply as an American, as most true Americans do, but as a hyphenated, balkanized, Haitian-American, born in New York to illegal alien parents. One might question whether she’s an objective lawmaker just on the basis of those circumstances and qualified to render a fair, unbiased opinion on the supposed comments of President Trump. She removed all doubt during this interview and is firmly in the globalist Democrat camp. Clearly there was more than a little “white guilt” being exploited or the novelty of Love’s resume and race at play when Utah voters elected her. She’s obviously still thinking the way her squatter parents indoctrinated her, that American immigration law is to for the benefit of the outsiders, not our nation. The biggest racist on the program is Tapper. He repeatedly plays the race card as part of his shtick with no regard for the truth, day in and day out. Loves’ coming in a close second, saying her “job is to do everything” she can “to help these families,” meaning the legalization of DACA illegals alien squatters, who have no more right to be in this country than her parents did when they violated our immigration laws. What about representing Americans, Love? You sound like a Democrat. Love apparently doesn’t agree with those laws, like her fellow RINOs and Democrats, so “her job” is to circumvent the will of America, and legalize the trespassers. She says they need to “fix this issue” and if they don’t it will “be a failure on all of our parts.” By fix this issue she means legalizing the DACA illegals and failure is for them to remain in their current status, subject to deportation. Why is that failure? That is simply putting an end to their unlawful presence in our country, something she should perceive as an immigration enforcement success story. Tapper beats the racism drum a little more, asking what Love would say to a “Haitian-American” who comes to her and says, ‘I think the President’s racist’?” She accepts Tapper’s false premise that Trump is a racist and answers the question from that perspective, saying she’s not going to be a victim of others. Sensing that he’s got an easy mark who has overachieved in her present position and is likely to be a goldmine of leftist propaganda, Tapper asks, “Do you think that there should be a clean bill on ‘Dreamers,’ just on ‘Dreamers,’ with no border wall funding or anything else?” In other words, is she willing to surrender to Democrat demands and leave the border open for their foreign invasion and drug trafficking to continue. Is she a subversive RINO? She uses the “C” word as well as the “B” word, both much more offensive to American values in their application than accurately describing the “sh*thole” country her parents fled. Love says, “I think we have to have something that is comprehensive, we have to have something that is bi-partisan, we have to give a little. That’s surrender talk, receiving nothing in return, standard operating procedure for gutless, sellout Republicans. Love goes on to conflate those claims with their polar opposites, stating it must be done with “interested people in the room talking about what’s good for the American people and our country. She’s an absolute idiot who has no business speaking on television where she demonstrates it so vividly to so many people. A wall is what’s good for the American people, not open borders and a flood of dependent third-world invaders. 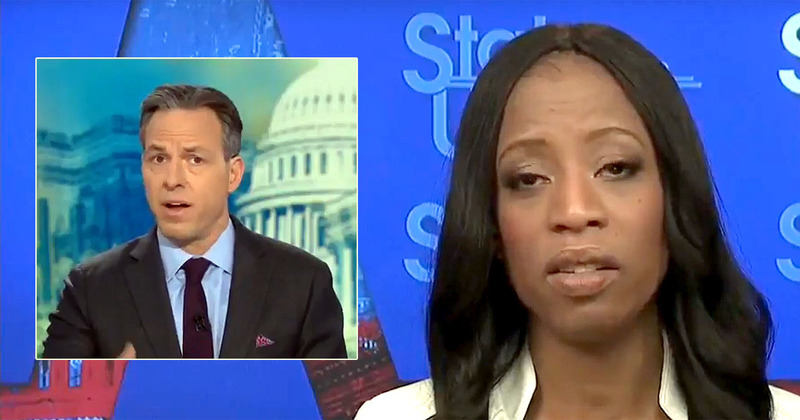 Race-baiting Tapper seizes on her comments, saying, “It’s obviously tough for a lot of people to put emotions aside when such horrific expressions are used.” Love admits, “It’s difficult for me.” Maybe she should go spend a couple of months living in Haiti and report back to the Congress on why it isn’t a “sh*thole” country and how that perception is incorrect. Also tell us why unchecked, racist, anti-white, anti-Christian immigration policy is good for America. Good job Rep Love, Nancy Pelosi is looking forward to working with you over the coming years. <I……we have to have something that is comprehensive, we have to have something that is bi-partisan, we have to give a little. This is what will finish us. 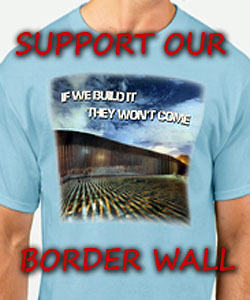 Even those who were totally against any legalization are now teetering, saying, we need to deal to get the wall. Love is like Joni Ernst, they talk great and when they get to the swamp they jump right in. B.S. Rather than deal, how about, IMO, pulling out of fake nation building and funding neocons we should post our military along the border until the wall is built. Issue a statement that anyone attempting to invade the U.S. will be shot as enemy combatants. It would stop right quick. Well when she first ran it is funny how she seemed to be a all American woman. Seems her actions were to get her elected, since you have to ask what has she done since she went to washington? Nothing that I can tell. Hopefully the people of her state will notice the new/true love and send her out to pasture with that lifetime retirement the politicians seem to get …..no matter how bad they are. She needs to get a new wig for one. Then she needs to adjust her attitude. I’d like to know why all of these illegals think they are covered by our Constitution. They protest and bad mouth our President then expect us to feel sorry for them. They ALL need to be deported, including all refugees like the Syrians who were brought here by Obama to be his Muslim army when Clinton won. They are starting to take over our country piece by piece. Do you want to pray to God by kissing the ground with your butts in the air? speaking as a PROUD WHITE REAL AMERICAN, i am OFFENDED by all those HYPHENATED AND ILLEGAL ALIENS AND THEIR ENABLERS FROM THE COMMUNIST DEMORAT PARTY. a RECKONING IS COMING, IT CAN’T MISS.